"Learning From Those We Serve"
This year will feature diversity training, police and their family are subjects that will be presented. Learn about the OPP Indigenous Policing Program, impact on 911 callers, OPP canine unit, and officers involved in criminal investigations. OPP Superintendent Jim Smyth (Gained confession from perpetrator of the murders of Jessica Lloyd and Marie-France Comeau in 2010) talks of his work in criminal investigations and what chaplains need to know, how they can care for investigating officer(s). Click here for more about Jim Smyth's career. OPP Staff Sergeant Jeff Simpkins will speak on Tuesday October 23rd on his year with the European Union Policing Mission in Afghanistan and the role that chaplaincy played in his time there. In the Thursday October 25th morning sessions on diversity Jeff will speak about the OPP Indigenous Policing Bureau and will lead a panel discussion on Indigenous Policing and Chaplaincy. Click here for more about Jeff Simpkins' career. Retired OPP Inspector John Kelsall will be speaking on the impact and challenges of police officers and their families (October 23rd). Click here for more about John Kelsall's career. 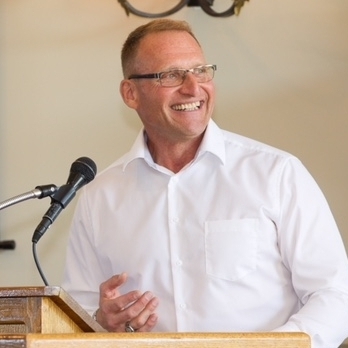 OPP Commissioner Vince Hawkes will be the speaker at this year's formal banquet (October 25th). And Director of OPP Chaplaincy Mariush Runevich will be hosting the 2018 Orillia ATS. $400 before September 28th, 2018 and $500 after that date. Non-CPCA members $500. Hotel - Mariposa Inn and Convention Center 400 Memorial Avenue Orillia Ontario (mention you are with the Canadian Police Chaplaincy Association). Cost - Weekdays $106.95. Friday to Saturday $149.00. For reservations call (705) 325-9511. Rooms have to be booked before September 7 for the discount price. Meals - The costs for breakfast and lunches, and Thursday's Banquet will be covered with your registration. Everyone is on their own for dinners Monday, Tuesday and Wednesday. There are a number of restaurants within walking distance of the OPP such as Swiss Chalet, Kelsey's, East Side Marios, as well as the Mariposa where you are staying. Transportation: Transportation will be provided between Pearson Airport and the OPP Headquarters in Orillia. We will be asking for your flight numbers and arrival and departure times.